Finally,the summer vacation is over and the kids are back to school, so its a vacation for parents, especially for me.I can do the cooking and cleaning non stop without any interruptions.Of course,i can roll the rotis and no one standing by side as my daughter do . "Mom Can i roll my own chappathi all by myself? ".Once she starts she wants to roll everything.So during holidays ,the lunch became supper and breakfast becomes lunch.Thank god, they are going to school now.I am free-d from questions like when she can do everything all by herself. The whole summer she taught me how independent she wants to be and always she doesnt need anyone to help her..I wanted to try this combo of vegetables with paneer for long time as subzi,those who dont have corn, can substitute with potatoes.I made this subzi with soft rotis for dinner and had the leftover with bread in the morning. 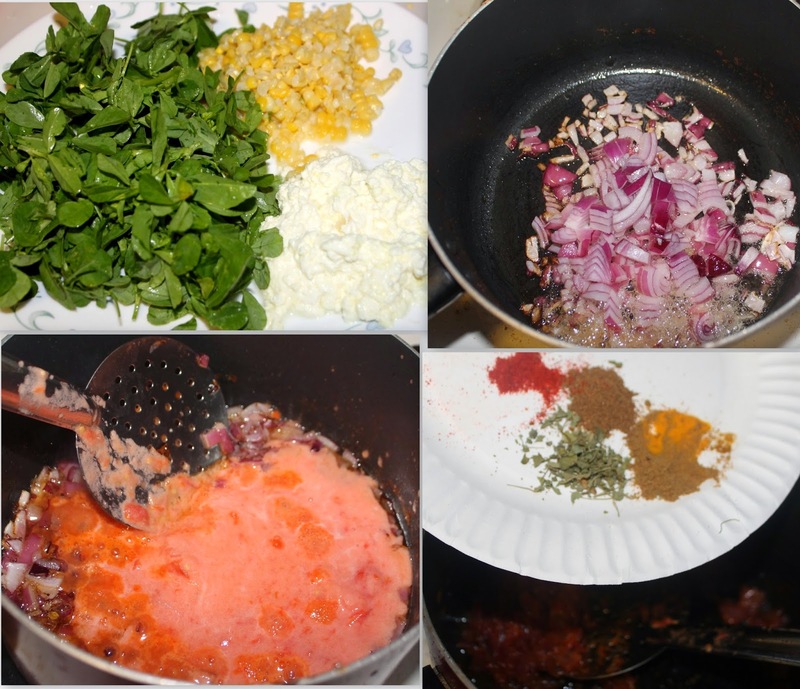 1.Clean methi leaves in water ,scrub the corn from the cob and scramble the paneer.Set aside. 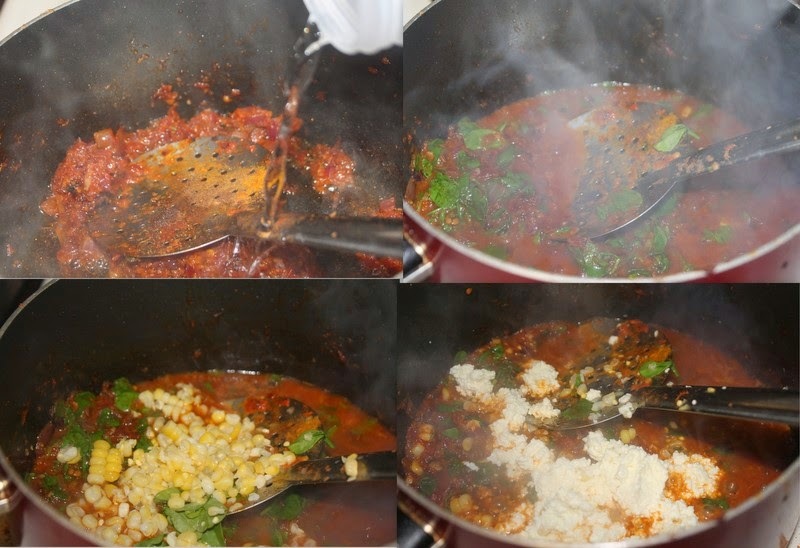 6.Add two cups of water and let it boil.Add the methi leaves,corn and paneer. 7.Simmer it for five minutes and its done!! Delicious and lovely looking corn paneer subzi. You are right. Now you might be a little less busy. Keep on posting such wonderful recipes.